The one thing I like about Tamil New Year other than the delicious Payasam is the fact that new films that are being released in conjunction with the celebration. 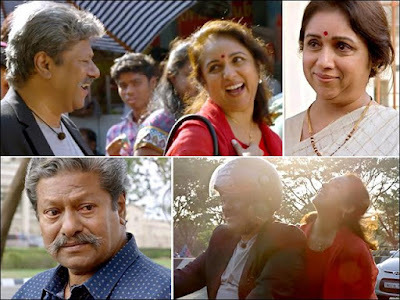 In 2015, I watched OK Kanmani which also marked the very first time I wrote a film review. Power Pandi has a story that will leave a lasting impression in you. The film covers a variety of theme which was beautifully balanced by the director. The film starts of by exploring the relationship between an elderly father and his adult son who is married with two kids. It explores the theme of how youth today finds it a burden taking care of their elderly parents. At this point of the film, you might think that this is what the whole film feel is going to be about. That is where the director leaves his mark by bringing in different angles and feel into the story. There is portion which highlights a youngster giving valuable life advises to the elderly father character. There is also a portion showing that age is not a factor for us to work and being independent. It also highlights the emotions that goes through the mind of an elderly parent when their children scolds them or humiliates them. It shows they too can reach a break point and look for an escape. The second half of the film taps into the elderly father's first love. A flashback portion is captured to show us that first love in a village background and that portion has the potential to tear you up. The final portion of the film shows us that what started as a soul searching journey for the elderly father, ends up being an exploration to find back his first love. With all these different themes and emotions happening, the director wrote his script brilliantly to end his film. Kudos to that. Dhanush makes his direction debut with this film and it is for sure that he has demonstrated that he has the right qualities to stay and work on being a top director in the near future. Bar a couple of scenes, he shows that he has the right talent and knowledge to be a good director in the near future. The whole village portion was so beautifully shot, and he deserves a lot of credit for it along with his technical crew. Loved the way he treated the story and he deserves praised for that. It is easy to treat a story of an elderly father-son relationship story in a flat and predictable way but Dhanush choose not to do so and was bold enough to incorporate a couple of different themes. 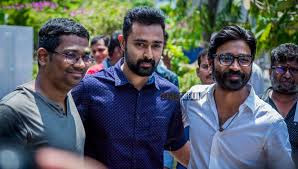 Another fantastic decision made by him for me was the fact he cast different actors to play the younger and older version of Power Pandi and Poothendral. By doing so, he took out the need of having his cast going through difficult and tedious make overs to spot a young and old look. At the same time he manages to get the best out of all those cast. Despite that being a great decision, Dhanush didn't do enough to justify the massive physical transformation gone through by the Power Pandi character. The role of Power Pandi was showed to be at 3 different stages of his life. A youngster, a young father and an elderly father. The same actor that played the timeline of the young father to an elderly father but a different actor was used for the youngster Power Pandi which has almost total opposite physical appearance. The gap in years from being a youngster to being a young father doesn't seem to be long, thus the extreme changes in physique was a real let down for me. Rajkiran stole the show. Hands down he was the best performer and this movie will be remembered and talked about due to his performance. 10 minutes into the film, doubts started creeping into me that his role here was going to be similar with the character he played in Manjapai. I was so happy to be wrong. He plays the role of Power Pandi, who was once a highly sought after and respectable stunt master. Thus it justifies why even at an elderly age, he seems to be very active and can't stay put in a single place. He plays the role as someone who has always been a youth both in heart and mind although he is old. The way he blends in English in his conversation, his sense of dressing and mannerism will provide you with a good kind of laugh and love his character more. Loved the way how he played with his mannerism when he Facebook messages. Just note at how his legs are up and swinging just like how an 18 year old might act. He was indeed a very young old man. The one scene which I was awed by his performance and touched my heart was the scene which showed how Power Pandi emoted when his fellow stunt artist applaud his work during a shooting scene. The way he tears up and the energy he gets makes him pumped up to take on life again. Goes to show that there is no age limit to passion and how it can rejuvenate your life. Hands down my favorite scene. Coming to Revathi, what a joy was it to watch her on the big screen again. The film gave her a love angle to play it and she played to so well. Whether it's Mouna Ragam or Power Pandi, she strikes aces in those scenes. This two old pair just schooled most of the young actors out there on the art of acting and showed that why they are considered as legends in the industry. Such beautiful performances. Both Dhanush & Madonna Sebastian plays an extended cameo role in this film. Dhanush plays the young Power Pandi while Madonna is the younger version of Poothendral. 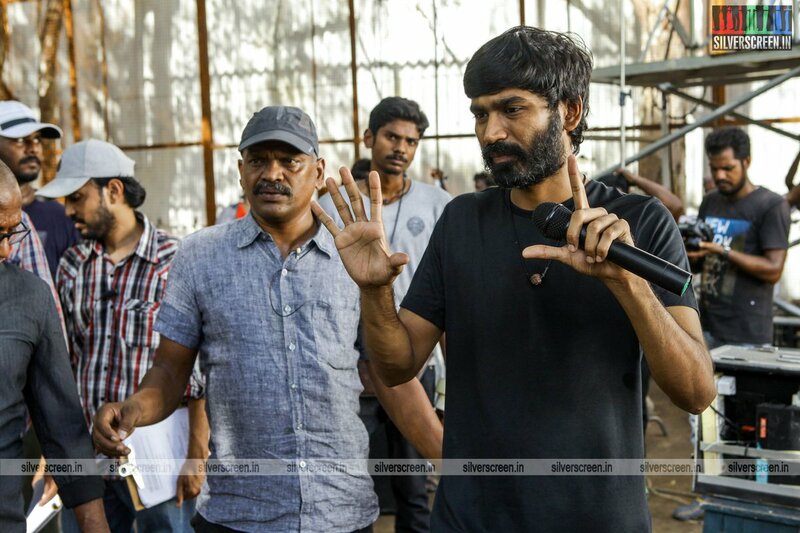 Speaking of Dhanush, he plays the village boy role ever so easily. It was almost natural to him. Throughout the film I didn't know that the younger version of Poothendral was actually played by Madonna Sebastian. Not sure if her make over was that good or the fact that I wasn't smart enough to know it's her. Despite not knowing it was her, I kept telling myself that the girl who is playing this role is really good! Now it makes sense because it was indeed Madonna Sebastian. As I said in my Kavan Review, I loved her performance there and I have turned to be a fan of hers, her performance in Power Pandi reinforces my opinion. The scene showing she can't go and see Power Pandi was a particular highlight. He plays the role of an ungrateful son who understands the value and love of his father at the end of the film. You will hate his character but love his performance. He looked smart and shape playing the role of a high post corporate guy. Hoping he builds on from Power Pandi. I had no idea who Rinson Simon is. I was told that he had act in a couple of other films before but this guy stands out here in the film. He plays the role of youth neighbor who advice and influences Power Pandi (Rajkiran) and maybe is also his best friend. He brings in very good comedy timing with nice body language. 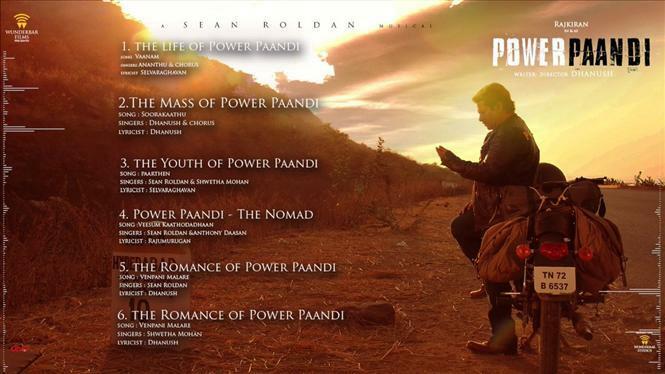 Sean Roldan is a young and upcoming music director. For those who doesn't know who he is, Sean Roldan is the guy who composed the music for the National Award winning film Joker. The guy has proved that he is the real deal in that film and carries on to show in this film as well. Personally the Power Pandi songs were average and decent at best but where he does well is in his overall score. Let it be fights or melody or the minor details, Sean Roldan score keeps the audience intact. Loved the score sequence during the village scenes. Looking forward to see more from this young lad. He is one to watch!